With Josie Rourke decamping to the Donmar Warehouse, the role of Artistic Director at the powerhouse of new writing that is the Bush Theatre went to Madani Younis, whose first season there has just started with this production of Lee Mattinson’s bleakly funny Chalet Lines which he also directs. Set over a 50 year period in Chalet Number 12 at Butlins Skegness, we trace the family history of four generations of the Walker women as the troubled relationship between mother and daughter seems doomed to repeat itself time and time again. We start in the modern day with an abortive attempt at celebrating Nana Barbara’s 70th birthday. Oldest daughter Loretta has brought along her two girls, Abigail and Jolene, to the cabin where they’ve always holidayed but things aren’t really going to plan for anyone. Relationships are horribly strained across the board and made worse by the absence of someone important and Mattinson takes us back in time to 1996 and then again to 1961 to explore the reasons for this and the deep-seated behaviour that has caused so much rancour. FYI, this was a preview. In its depiction of destructive patterns that are nigh-on impossible to shake off, family ties that bind so tight that they hurt and the depressing societal pressures on women to submit to marriage no matter what, Mattinson’s play is frequently brutal and crushingly so, with callous insults being flung around and ferocious interactions taking the breath away. But he leavens this with a vein of scabrous Northern humour which, whilst it may not be to everyone’s taste, I found to be hilarious. From the killer opening line to the deconstruction of the Macarena, there’s sharp humour aplenty here but it’s an ever so thin line as the jabs become increasingly vicious as more and more cava and pomagne is sunk leaving a bitter and bitterer taste. As Loretta, the main maelstrom of motherly monstrosity, Monica Dolan is fierce beyond belief. Uncompromisingly determined that it is her way or the highway, she strides forth with a gritty determination that takes no prisoners but which equally leaves her bereft as uncomfortable truths about the choices that she has made come to light – her tortured desperation to please Gillian Hanna’s dour Barbara feels painfully authentic. And there’s a neat piece of doubling as we move back to 1961 and Dolan takes on the part of Edith, Barbara’s controlling mother and we see the roles entirely reversed, and thus how the tragedy of the situation Barbara found herself in then has fed into this cycle of misery. Laura Elphinstone as the bookish but impassioned Abigail and Robyn Addison’s tart-with-a-Spice-Girls-singing-heart offer contrasting but convincing modern-day responses to the pressures exerted within the family. And as the one that got away, Sian Breckin’s Paula is a brief glimmer of hope, reflected in the utterly gorgeous funfair-inspired lighting design from Tim Mascall that intermittently illuminates Leslie Traver’s vertiginously exploded chalet walls. 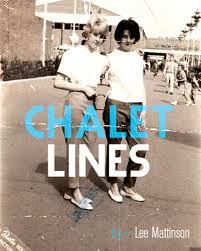 There are no half-measures here, Chalet Lines is funny and bleak and painful and real, and makes a bold and provocative opening salvo from Younis. The only real criticism I have is of the Bush Theatre putting up their ticket prices which might well work against people taking a risk on new writing, even at somewhere as reputable as here.